Serena, a royal member of the Mabara winged fae, has one goal in mind. Stop an impending marriage with a dark fae. As the fae are known to do, she stirs up trouble that she hopes will make her point and get her off the hook. Only nothing goes as she plans. 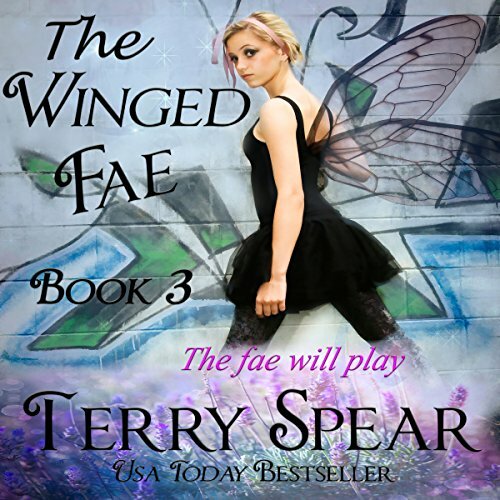 Niall, a royal member of the Denkar, aka the dark fae, is visiting South Padre Island when he catches a winged fae painting graffiti on a wall on the island claimed by his people. He is at once fascinated with the lovely girl and intrigued by her audacity, but as one of the Denkar, he must take her to task. Yet she's armed with a sleeping potion that makes his life intolerable. Between freeing her from his people's dungeon, her own tower, and fighting a knight in her honor, he wonders if he's lost his mind over one beautiful winged fae - when she's betrothed to his cousin! A wonderful & magical romance. Wow, what an exciting story. Great story line, well developed characters, excellent tie in of previous stories. Absolutely wonderful. This is a fun, well paced, magical story. I loved it. Fae-tastic :) I love this series! !